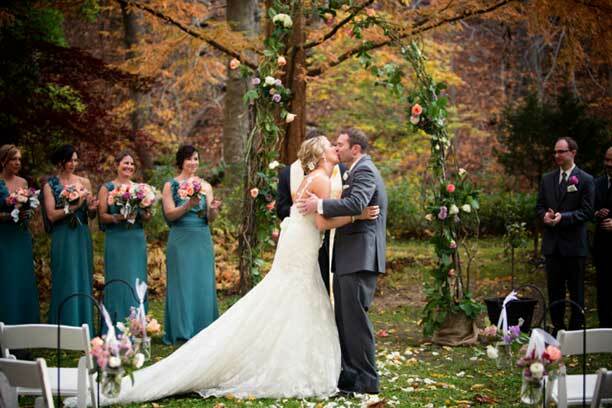 Allison and Nick were married in November at the Old Mill in Rose Valley. This was the perfect setting for their wedding! 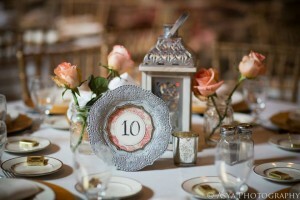 All of the charming details Allison incorporated fit so well with the atmosphere of the Mill. 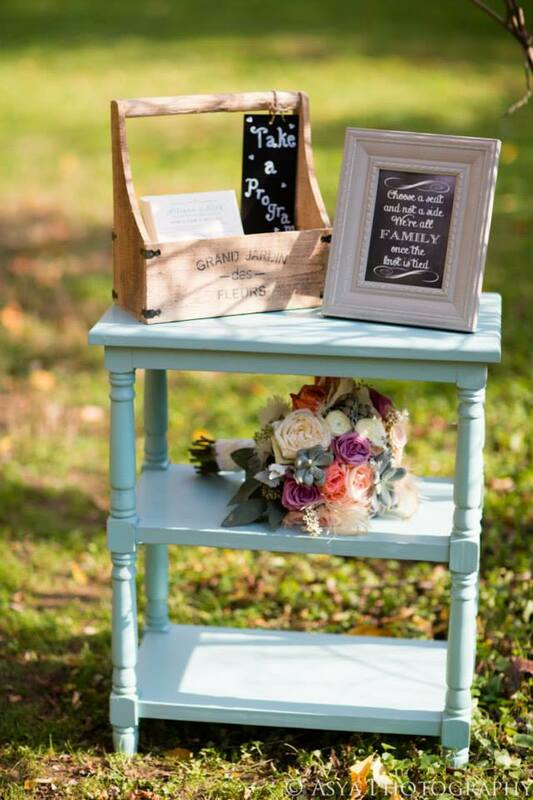 The little table used to hold the programs is one of my favorite details, and the color matches the bridesmaids’ dresses so well. 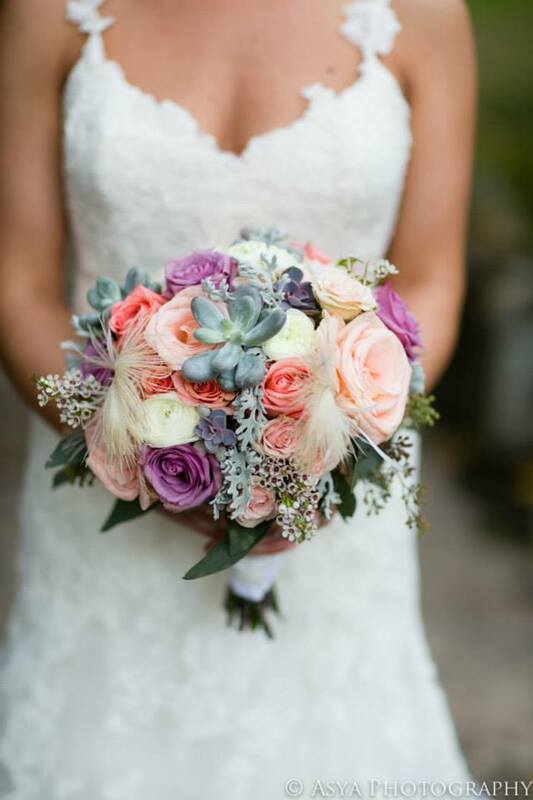 Allison’s bouquet was wonderfully textured, and the colors she chose went perfectly together. 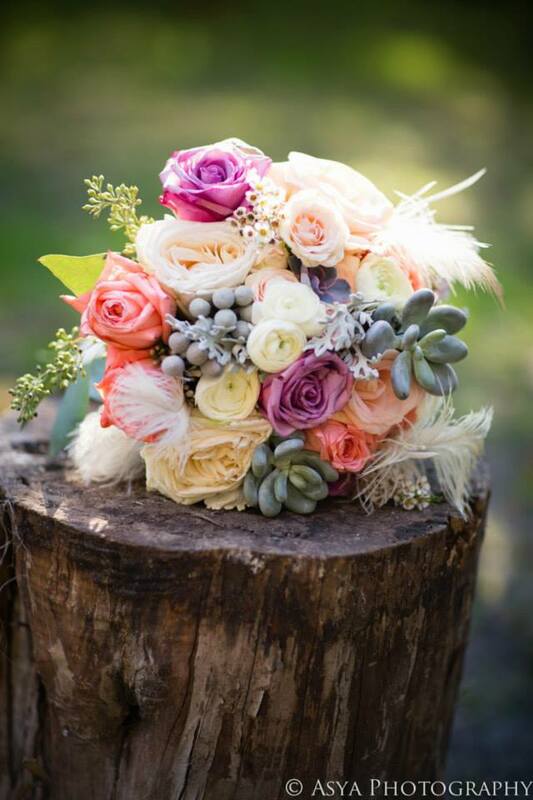 She had coral roses, lavender Cool Water roses, peach garden roses, white ranunculus, white waxflower, light pink spray roses, grey brunia berries, seeded eucalyptus, dusty miller, succulents, and white feathers. 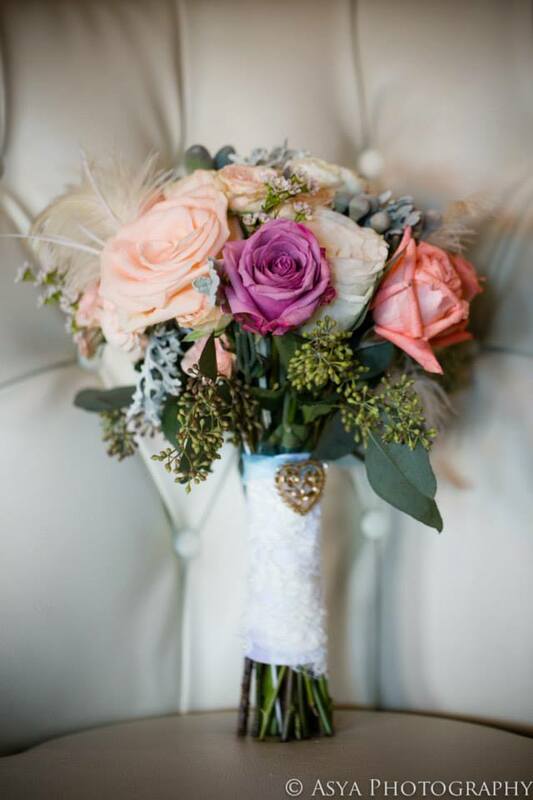 The handle of her bouquet was wrapped in fabric from her dress and topped with a broach she provided. All photos are used with permission from Asya Photography. 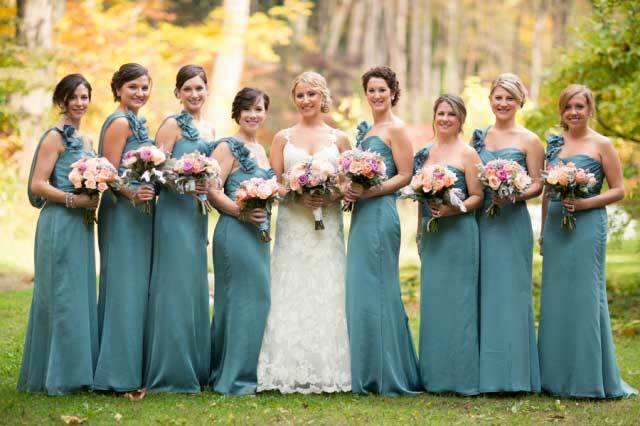 Amaranth Florist provides wedding flowers for Philadelphia and the surrounding suburbs. Request a Complimentary Wedding Flower Consultation today!